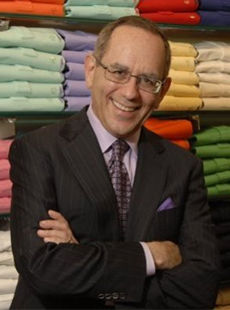 A global consumer behavior expert, Michael Solomon literally wrote the book on understanding consumers – his textbooks on consumer behavior, social media marketing, advertising and fashion are required reading in business schools around the world. Michael speaks at international conferences, sharing his insights into buying behavior and showing organizations how to take full advantage of trends. He once showed a Fortune 100 company how to access an entirely new market by simply tweaking their message and approach. He’s the secret weapon behind many winning market campaigns. An expert on marketing to consumers of all ages, races and cultures, Michael works with organizations wanting to capture the minds, hearts and wallets of consumers in a constantly shifting market. Fundamental categories that form the bedrock of marketing strategy and customer insights simply no longer exist. You need to understand the new landscape of consumer behavior so you don’t get left in the dust. Everyone is buzzing about Artificial Intelligence these days, as well as they should. Machines that “think” for us already are transforming how we work, play – and shop. McKinsey tells us that some 29 million U.S. homes used some form of smart technology last year, and that number grows by over 30 percent a year. Many organizations now deploy robots, avatars and chatbots to perform tasks we used to ask flesh-and-blood people to do. This suddenly makes the age-old question of what makes us human much less theoretical. Self-driving cars threaten to replace truck drivers. IBM’s Watson beats chess masters and veteran Jeopardy game show contestants. Movies and TV shows like Blade Runner, Westworld, and Humans that focus on the civil rights of synths, replicants and androids are center stage in popular culture. Alexa and Siri are our new guardian angels. Where does the person stop and the machine start? Marketers need to grapple with this question, and soon. As customers increasingly interact with machines instead of people, there are huge ramifications for the way we think about sales interactions, communications strategies, product design and marketing channels. Will consumers more readily accept a product recommendation from an AI agent if an attractive avatar delivers the message? Will customers become loyal to an intelligent agent, much as some do with their favorite salespeople now? Will shoppers prefer to see computer-generated models in advertising rather than real people? Very soon, the rise of the machines will become the race of the machines. Don’t be left at the starting line. “We buy products because of what they mean, not because of what they do.” That insight is crucial for any industry that touches consumers. Customers literally choose from thousands of options – and most of them have very little to do with functionality. However, that doesn’t make these decisions unimportant by any means. The selection of a watch, a bracelet, a pair of glasses or many other items reflects deep-seated values and beliefs about appearance and the consumer’s identity. We can think of the body as a canvas, where the shopper chooses from a “palette” of accessory items, apparel, footwear, cosmetics and other products to paint a picture s/he wants the world to see at a fixed moment in time. Marketers need to dig deeper if they want to sync their offerings with what their customers seek. In this presentation, we’ll look at some of the powerful cultural forces that influence how consumers use a range of products to make “statements” about themselves. We’ll examine some of the important factors that influence what that “self-portrait” looks like, including feelings about the body, peer pressure, celebrity endorsements and the messages our culture sends about what men and women need to look like. We’ll also consider how new technologies such as social media communities, wearable computing and augmented reality will color this picture in the near future.